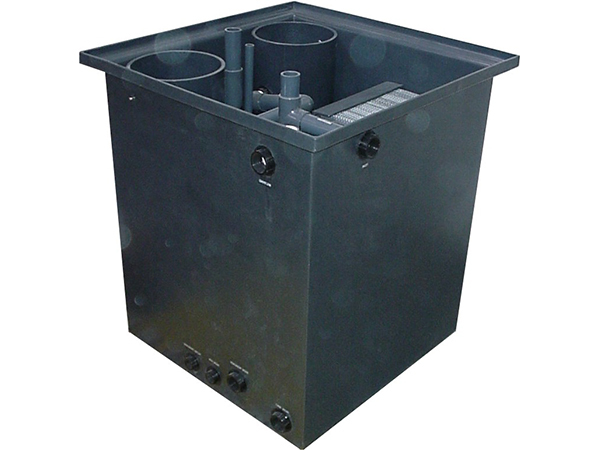 RGF’s oil water separators are designed to eliminate pollution problems by avoiding contaminated water discharge. 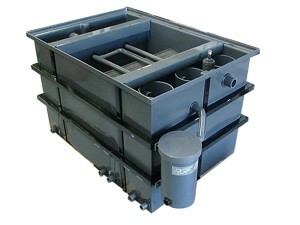 It is a compact pre-treatment technology system designed to remove free oils from water prior to discharge for sanitary sewer or other treatment. 10 gpm 35”W X 36”H X 35”L 1-1/2” PVC SCH. 40 268 lbs. 20 gpm 26”w x 46”H x 50”L 1-1/2” PVC SCH. 40 312 lbs. 50 gpm 76”w x 56”L x 54”H 3” PVC SCH. 40 1,067 lbs. •	RGF is the recognized leader with thousands of systems installed worldwide since 1985. •	RGF has the best warranty in the business. 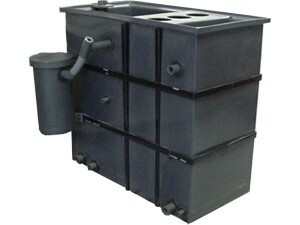 •	Removes free oil to less than 10 ppm. •	Fully automatic, easy to use, versatile. •	Totally non-ferrous – no rust or corrosion. •	Installation, maintenance and operation manual included. •	Components are color impregnated & UV protected to eliminate maintenance painting. DRY WEIGHT 268 lbs. 312 lbs. 1,067 lbs.